Having the right product is a great start, but being successful starts with strategy and an intuitive user experience. Operating an online retail store is relentless in a highly-competitive market. From the second people arrive on your website until the moment they checkout, there will always be a certain degree of unknown in terms of how exactly the user experience is going to pan out. As many will attest, e-commerce web design is a constant game of testing and optimization. In many cases, it’s the tiny details that make a world of difference. Ultimately, the bulk of online consumers want the same thing – a solid, glitch-free shopping experience. That’s where we come in. Ayokay understands that convenience is the mainstay of any online retail store. We firmly believe that a fantastic e-commerce website should be more than just pleasing to the eyes; it should seamlessly guide visitors to take the desired actions at the right place at the right time. Our approach involves planning and executing an intuitive customer journey from the first touchpoint, to researching products, all the way to the follow-up after a checkout. Whether you need a few slight tweaks, or a complete overhaul, Ayokay assists you in designing a fully-fledged online store where people love to shop! 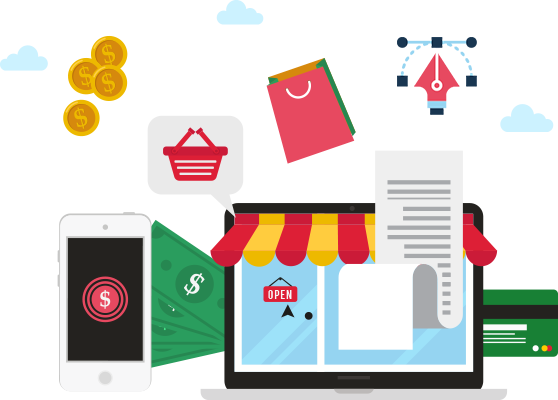 We have many years of versatile experience in building e-commerce websites. We’ve seen it all and know the most optimal formulas for reaching goals. A great deal of our expertise comes from leveraging the top e-commerce tools and combining their features to build smooth, navigable websites. We use critical UI/UX design tactics to facilitate quick and easy conversions. Our team will regularly test and measure your site’s components to pinpoint the most effective elements. Over the years, we have found the most powerful resources, skillsets, and design processes to continuously exceed expectations. 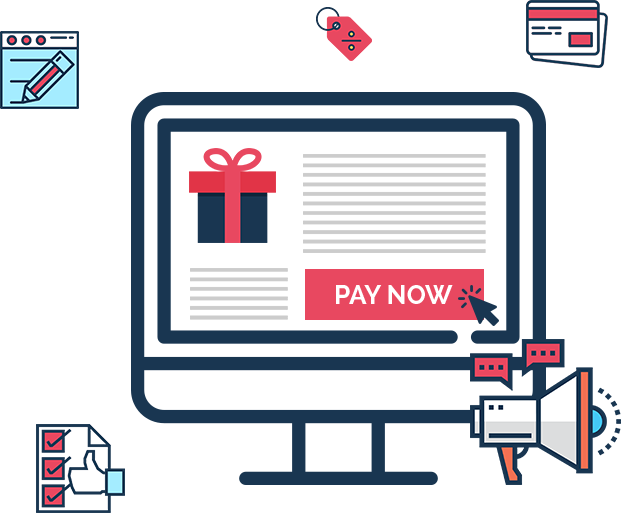 At Ayokay, our team is comprised of talented e-commerce design experts who know the nitty-gritty details of how the online retail industry works. We make it a point to stay updated on emerging trends and technologies to ensure efforts are constantly moving in the right direction. With seasoned design skills, we know what it takes to battle the dreaded cart abandonment and bounce rates. Menus that are easy to interact with and don’t cause any confusion. Prominent search bar that can be easily located on the website to quickly browse the platform. Social media sharing options to spread the word about your business. Aesthetically appealing catalogs and gallery sections. Easy and secure payment processing throughout checkouts. Highlighted featured sections to instantly grab customers’ attention. Detailed product descriptions, paired with visual effects, to help customers make more informed decisions. Exclusive deals and discounts along with coupon codes. Proudly displayed reviews and testimonials. For reliable e-commerce web design that brings your bottom line to the next level, reach out to us today. Get Optimal E-Commerce Web Design Now!